I can’t believe I am already 31 weeks now. A little less than 9 weeks and she will be here. I am so excited to meet her and bring her home that I can hardly wait! How big is baby? 18 inches – 3.2 pounds! Baby is the size of a coconut!!! Maternity clothes? A must right now. I am finding that I am wearing a lot more of Drew’s clothes just because they feel more comfortable. I have been wearing his button up shirts and even his north face jacket! Sleep: Sleep is going well still. Food cravings: I could go for an Oreo and Diet Coke right now…. Haha. Wedding Rings on or off? Both of my rings are on. Although, they are starting to feel a little tighter. What I am looking forward to: I have another doctor appointment next week and I can’t wait to see how much she has grown and hear her heartbeat! Upcoming appointments/events: I have my 32 week appointment next Thursday. Weekly Wisdom: Do not eat spicy chicken enchiladas while pregnant!!!!! You will suffer heartburn for days!!!!! Christmas has already come and gone so quickly. And it seemed so special this year, when we were all so sad last Christmas. 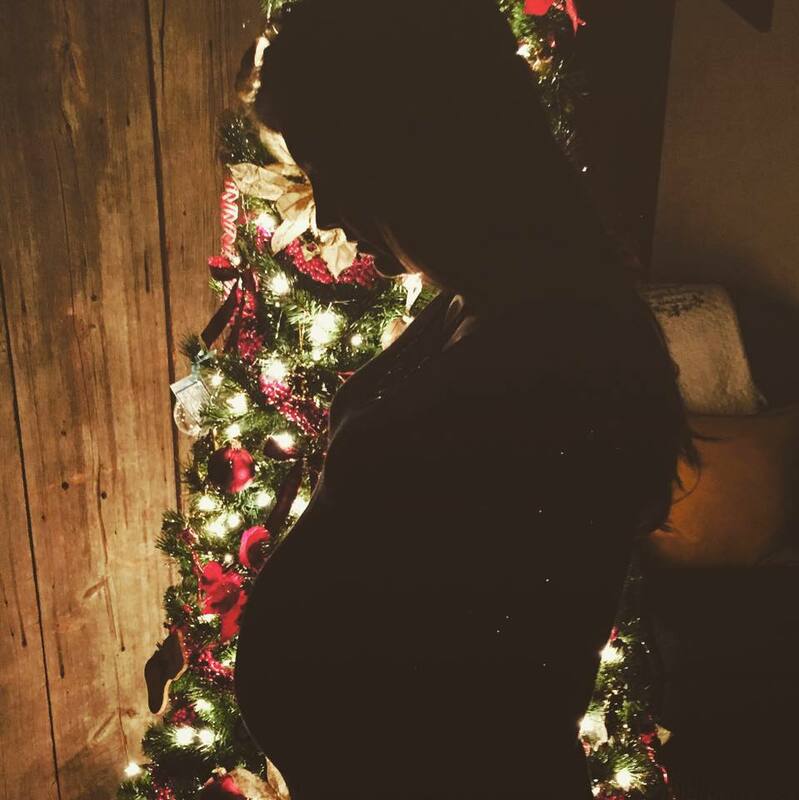 Being pregnant (especially 29/30 weeks pregnant) around Christmas time brings a much greater joy to the holidays. I feel as though the last year and a half I have very much identified myself with Mary. I have found great comfort in her. After Jonah died, I often prayed to Mary to help me be more like her and to show me comfort in my time of sorrow; for she lost her son too. Every Christmas at my church, ‘Mary Did You Know’ is sung by an amazing woman from our parish. Her singing brings tears to everyone in the congregation. Last year when she sung this song I couldn’t help but sob in the pew and miss the little boy I should have been holding. This year, I reflected on the words of the song before Christmas Mass. 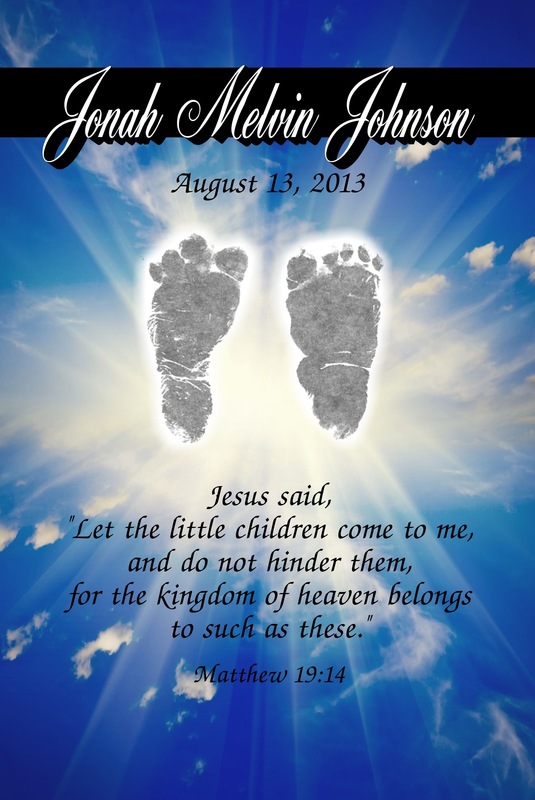 The lyrics, “This child that you’ve delivered, will soon deliver you…” really struck me. Since Jonah has died, I have become so different than I was prior. I look at the world and those around me so differently than I had. Jonah has taught me to love and feel so deeply than I ever have before. He has given me so much in the little time I physically had with him. I have chosen to be joyful instead of sorrowful. A choice that was very hard to make after losing a child. It took a great amount of time, but I finally opened my heart to it. Every morning since I’ve chosen joy, I have risen to a better life. Last January I asked God to give me a miracle and every day since then that’s what I prayed for. He answered my prayers and gave me Micah. The best gift I could ever have. 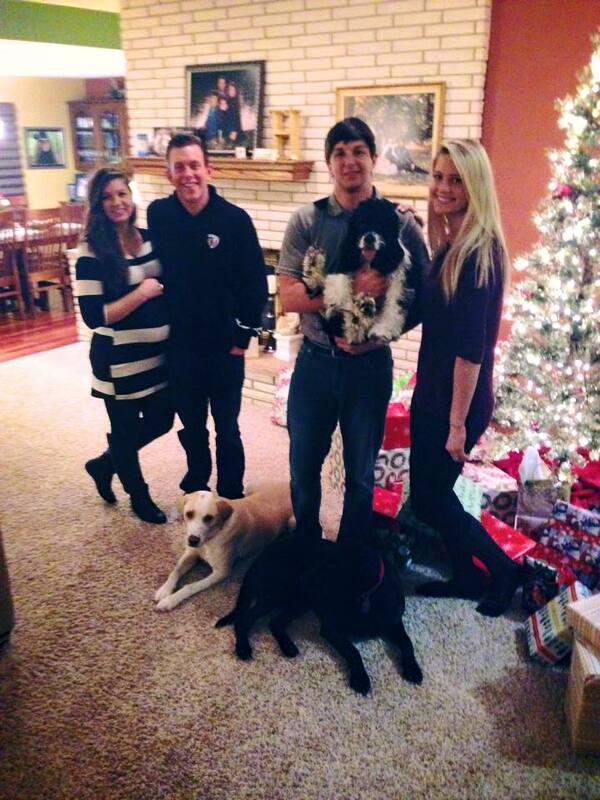 This Christmas was so wonderful and I cannot even wait until next year. Micah will be the first living grandchild for my parents and next Christmas at their house will be so fun with her. I can’t believe I am 28 weeks now. Which is very bittersweet since this when I was told Jonah’s heartbeat had stopped and he was delivered 28 weeks 1 day. Every day after is becoming a milestone for me. There is something to be said about mothers who lose children, no matter what age, that makes you appreciate things in your life so much more. Not that mothers who haven’t lost children, do not love their children… but there is really something different about it that you will never know unless you have lost a child and all the hope and dreams you had for them. I see this pregnancy as nothing other than a miracle given to me by God. And since she is a miracle, I do not take one single thing for granted. You will not hear me complain about being pregnant or the sleepless nights I will endure in March and the months to come. The moment I see her I will look at her so differently than anyone who hasn’t lost a child could imagine. A fancy house, a number in a bank account, the kinds of clothes you wear, a number on a scale, a new car, a tropical vacation will never bring you the kind of joy that love can bring to your life. Whether you love your parents, your spouse or your children – it is the greatest gift of all. To love and be loved. I have never loved anyone more truly and more deeply than I have my two children. And because of Jonah, I have learned how to truly love. I am forever grateful to him. Here is my 28 week update. How big is baby? 16 inches – 2.5 pounds! Baby is the size of a head of cauliflower!!! Maternity clothes? Yes. I am trying to mix up some of my maternity clothes by wearing scarves and statement jewelry to make it feel like I’m wearing a new outfit. Haha. I did receive my shipment of new clothes I had bought during Black Friday and they all work nicely. Sleep: Sleep is going well. I have been pretty tired by the end of the day and going to bed fairly early. Best moment this week: Hearing her heartbeat at my doctor appointment yesterday. Food cravings: Skim milk and green apples. I have ate so many green apples that my mouth is full of canker sores! Food Aversions: Sometimes things sound good and they next day they don’t. 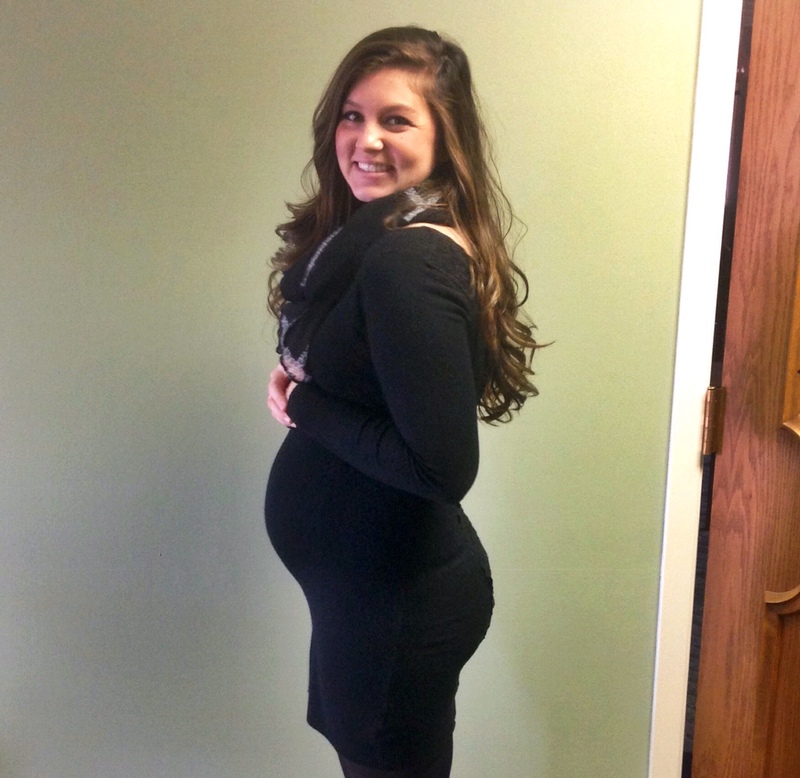 Pregnancy Symptoms: I can feel my waistline getting bigger and bigger! What I am looking forward to: I am so looking forward to celebrating Christmas next week with Drew and each of our families. Last year was such a hard Christmas and I am so excited this year!!! Upcoming appointments/events: I had my 28 week appointment yesterday and I have another appointment in two weeks on December 30th for 30 weeks! Weekly Wisdom: Cherish every moment. 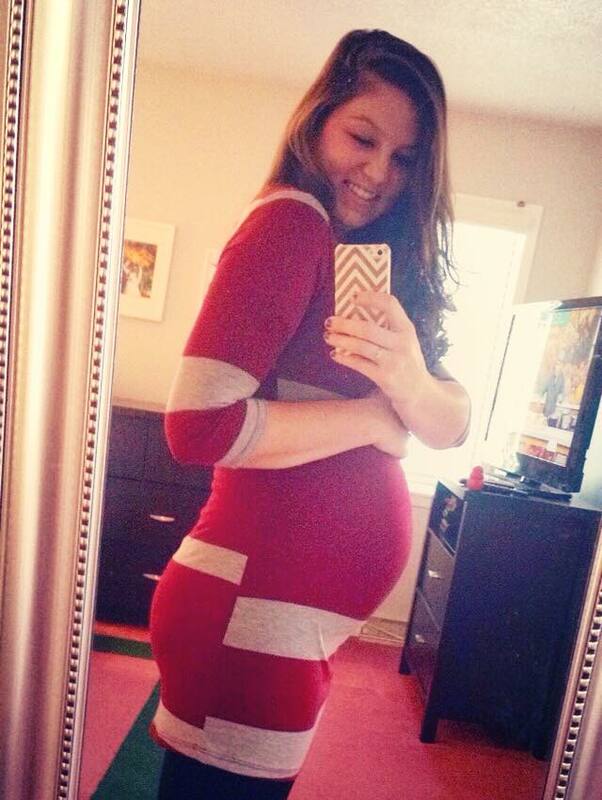 Here is my 28 week picture that my husband took just before we went to church. I found this this morning and thought it was perfect. This weekend I turned 27 weeks. Which means 28 weeks is just ahead. The third trimester. I have a bunch of mixed emotions about when that day finally comes. I’ll be happy when it’s over and I’m on to 29 weeks, but all awhile I won’t be able to quit thinking about how this was the week I was told my baby no longer had a heartbeat and the week I delivered him. Grief has a funny way of going about things. Especially after time. Out of nowhere sometimes the tears will just come and they won’t stop. I think it’s because I haven’t cried in awhile and I must have needed to cry and let it out. I’ve been crying lately because I’m scared. I’m scared I won’t get to take this baby home either. That something will happen. My husband is such a good man and some days I’ll go to him saying I think something is wrong, but he calmly reassures me that everything is ok. My mind has a funny way of playing tricks on me. With Jonah, everything went wrong and it’s like my mind sometimes won’t let things go right in this pregnancy. This weekend Drew and I talked about how excited we are for her to arrive. We talked about the moment that we hear her cry for the first time and how glorious that sound will be! We never got to hear those sweet cries from Jonah. Everyone is so happy for me and my sweet girl. I don’t know how many times a day I get stopped by people in town, messages or phone calls from people who tell me how happy they are for us and how they have been praying for us. So I please ask… keep praying for us. For my sweet girl, Micah. Every day in this pregnancy is a miracle. Every day I pray to our Lord that she be kept safe, she keeps growing and knows how much I love her. I also ask him to give my little boy a kiss from his mommy. Even though my doctors have reassured me that my little girl is healthy and doing well – I still feel very scared at times. I try not to consume myself with it and it is getting easier and easier to do so. I still have those moments when I think – ‘When I was this pregnant with Jonah, I was told my baby wasn’t going to live.’ If you know my story or have been following me, you know that I was 23 weeks pregnant when I was told this. You also know that I was exactly 28 weeks pregnant when I was told Jonah had died inside of me. I was 28 weeks and 1 day when he was born. I think once I get past 28 weeks, my fear will subside a little more. I told a close friend that this probably doesn’t make sense to anyone else, but deep down I truly feel that I won’t feel completely ok until she has been baptized in my church. Once I hit that monumental moment all will be alright. I am making little goals to get past my fears each day. Each day is a victory. Not only is it a victory, but every day with this little girl is a miracle. And I’d like to share it with you. 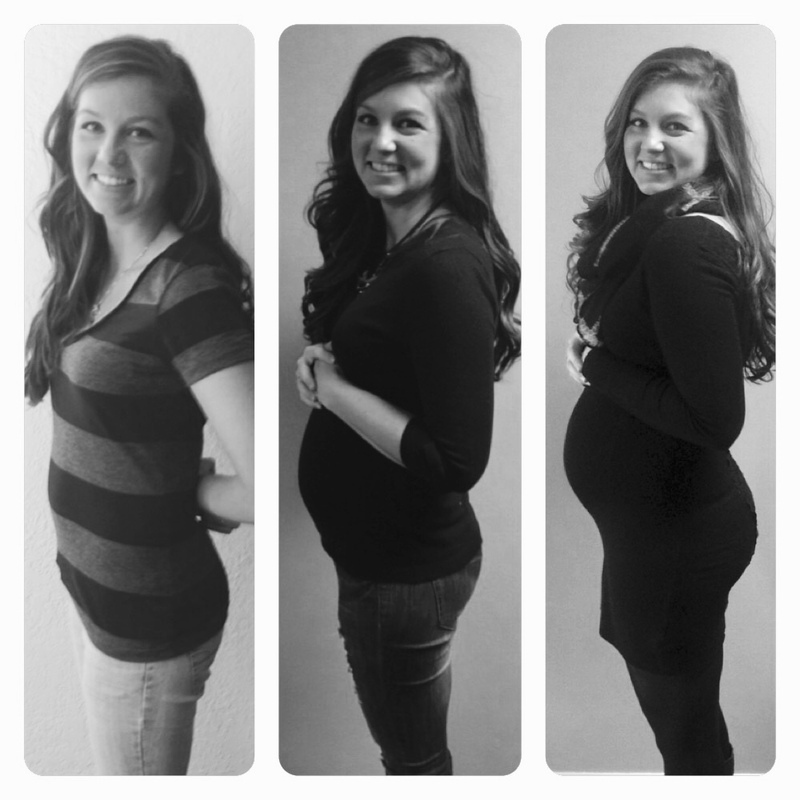 Here is my 24 week update with my sweet girl, Micah. Maternity clothes? Of course! I can’t live without them. At night I mostly hang out in my husbands comfy clothes. Sleep? I have been getting pretty good sleep, besides the constant having to get up to go the bathroom several times throughout the night! Best moment this week? Micah’s movements are getting stronger each week and it is amazing every time I feel it. I have started to notice my belly move when she is really kicking hard which is pretty amazing to see and feel! Miss anything? Nope. I love every minute of being pregnant. Movement? It’s getting stronger! I have been feeling movement since 16 weeks since I already know what it felt like. I feel so close and connected to her. Food cravings? Skim milk mostly. I will wake up in the middle of the night to go the bathroom and then head to the kitchen to gulp down milk. Which usually ends up in making me go to the bathroom several more times throughout the night! Anything making you queasy or sick? Not really. I was sick and queasy my first few months of being pregnant but that has mostly subsided since being in my second trimester. I pretty much lived on the couch and my sweet husband took care of me and the house. Symptoms? Just an expanding waist line and feeling pretty exhausted by the end of the day. Happy or Moody most of the time? Happy! The only way I could be more happy is if she were here in my arms. Looking forward to? I have my 24 week appointment tomorrow so I am looking forward to listening to her heartbeat with my husband. Maybe we will even get to do a little baby shopping afterwards! 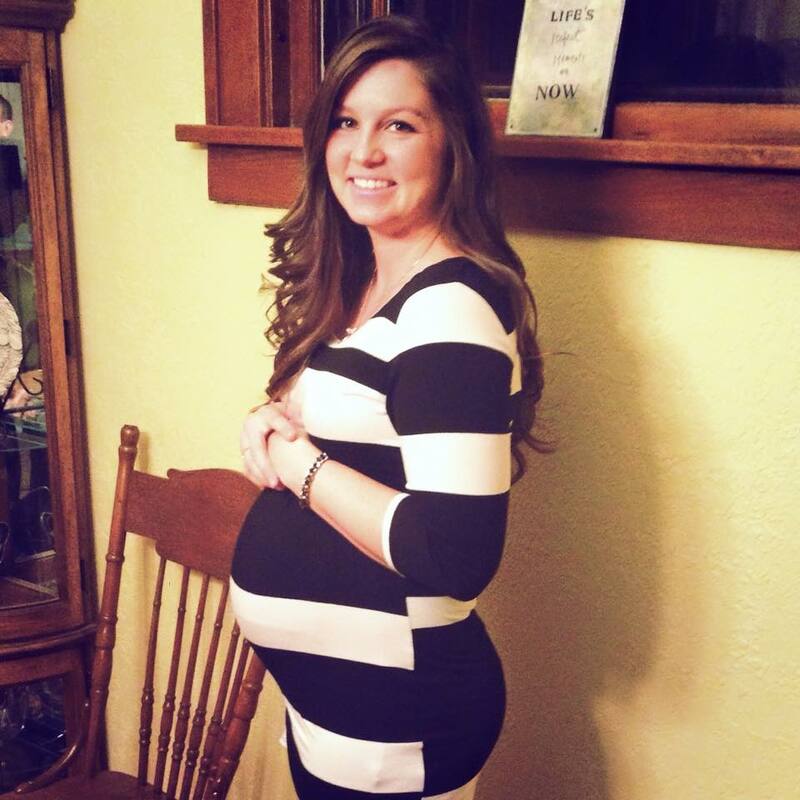 And here is my 24 week bump!